You know when someone asks you to do something and at the time it sounds like a great idea and you enthusiastically agree to do it (mainly because it is always fun to do things with your friends. )…but then later, you may have feelings of regret. The OKC Memorial Marathon is 8 weeks away. I am kind of in that moment of regret. Back in January, agreeing to run a 5K with my friends sounded fun and totally doable. Well, time has passed and I am now within an 8 week window to get my non-runner body in shape to run a 5K. The enthusiasm I felt in January has somewhat slipped away, being replaced with a feeling of dread. I have been putting off my “training” for weeks. Finally, a text from my friend (who is running with me) made me realize I needed to get with it…and fast. 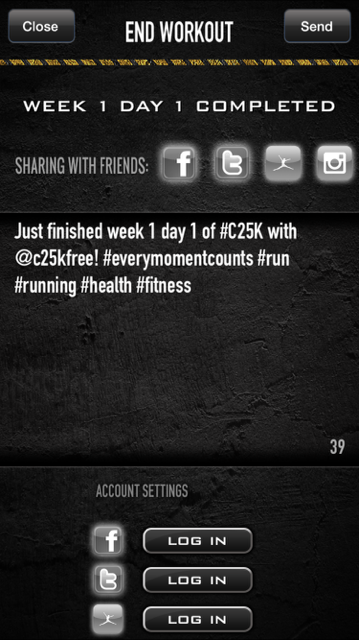 My C25K app needed to start this week. Before I went out for my run, I decided to give myself some motivation. I officially signed up for running the 5K. 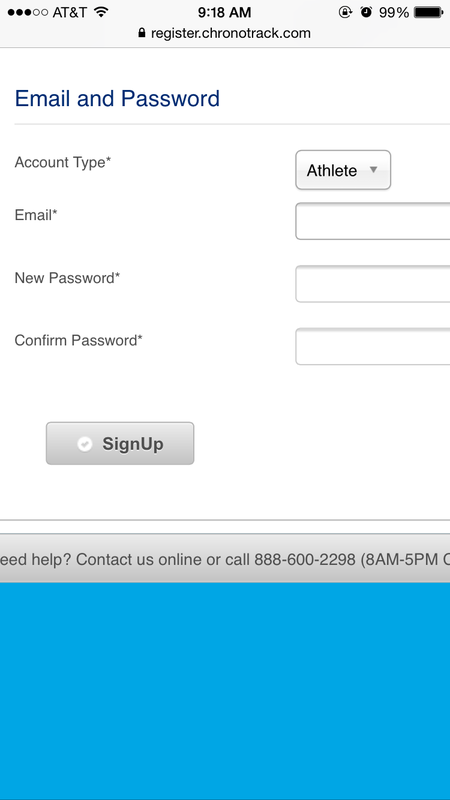 When registering, I was to select an account type. The only option they gave me was “Athlete”. I tried to select something more along the lines of “novice”…but could not find that option. 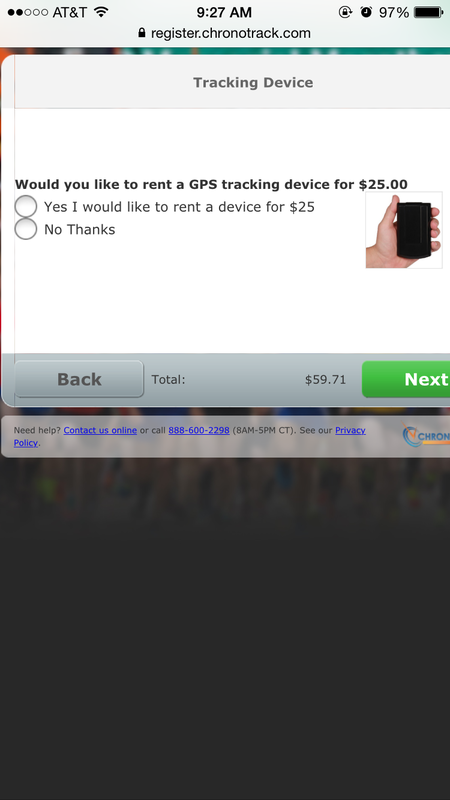 I did like the GPS the option they gave me when signing up…I almost considered it. You know, in case someone needs to find my body that is passed out somewhere along the city streets of OKC. Okay, I’m officially signed up. I have no choice BUT to get out there and start running. 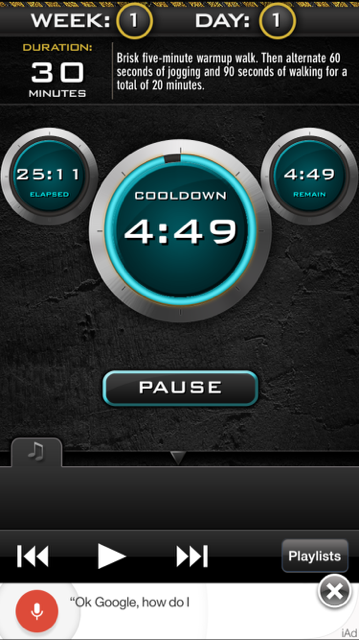 I go to my C25K app to get started…and this. Not the time to be asking for my opinion on something I am really not wanting to have any part of at the moment. I began my warm-up. Okay, this isn’t too bad. I’m still not happy…but I am feeling a little better about it. Then she (the app) tells me to run. Bless. Neither my lungs nor my body appreciated that demand. I think my rooster was scared. (Oh yeah, did I mention I have to run on my property??? 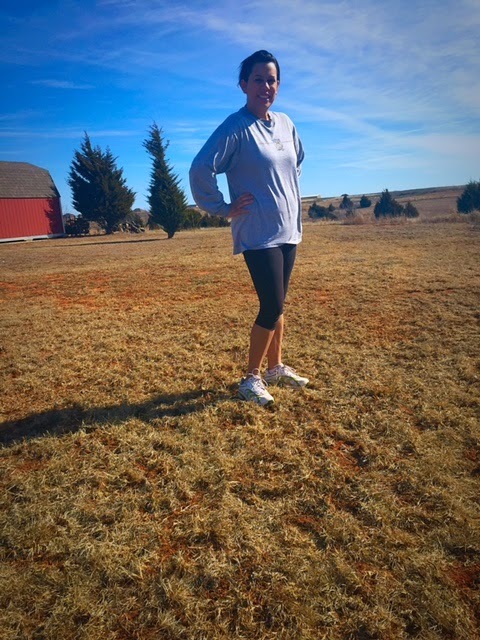 I have 3 kids ages 5 and under…I have no where else to go run.) The only times my rooster has seen me run is when I am chasing a coyote…so he immediately went into panic mode. Poor Lucky. A good 12-15 minutes he crowed his feelings of worriment. I was trucking along pretty well, all considering. I was getting towards the end of my run when I was wishing I had a playlist to run to. I think it would make it more enjoyable if I had something to listen to besides the sound of my own labored breathing. I pulled my phone’s playlists up…yeah, pretty sure I am not going to get my run on listening to Lil’ Man’s Classical Conversations playlist. I just didn’t see it happening, even though I’m sure it would be awesome to run to songs about President Wilson, a timeline of the world, or to go over what the area of a square is. Not. My next option was a playlist for Miss Priss…it was her Hidden in My Heart scripture lullabies. I love the songs, but they make me feel all relaxed. Again, not what I needed for my run. Then I had the one song I bought for myself. Lauren Daigle’s How Can It Be…LOVE the song. Still not quite what I was looking for. Oh well..onward I went. Until finally, these sweet words…cooldown. Okay, I did it. It wasn’t too bad. I can do it again. Next Article What’s Your Song?